You and your friends/family wish to get picked up at different points. No problem! We charge 5 Euro extra for any further pick up or destination point. You need a transfer to a train, bus or ship station, to an appointment or party. Just contact us and we elaborate a specific offer for you. We are also a reliable courier. You need a transport for a high-quality equipment, urgent spare parts or important documents. Just contact us and we bring your package(s) as soon as possible to the destination point. Be flexible and share your ride! 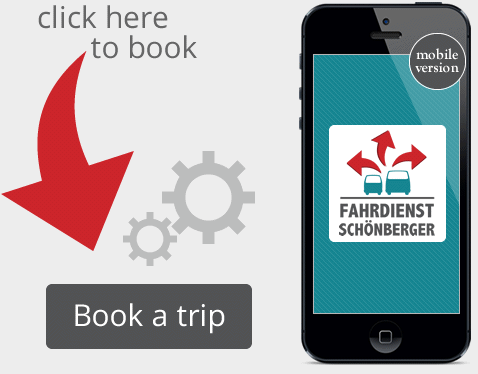 For a shared shuttle from Augsburg to Munich Airport 1 person pays 30€. Filling out the form is explicit authorization and consent to the holding and processing of personal data, as required by the Code on personal data. Limited liability: Fahrdienst Schoenberger will not be held liable for any losses and/or damages arising from the use of this website or of any other website to which this website provides a link, and/or from the use of information presented on this or any such other website.